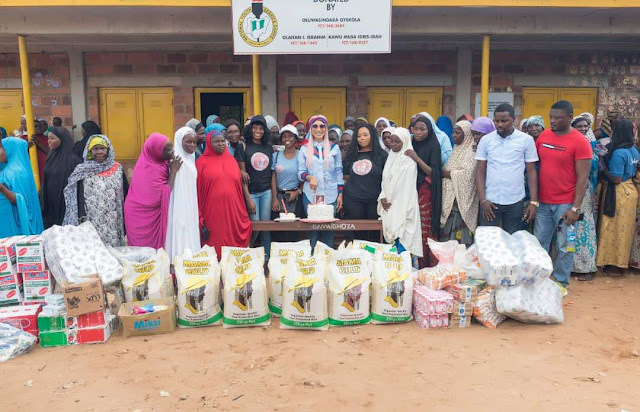 The visit, it was gathered, was part of activities to mark her birthday as well as in line with the objective of her foundation. 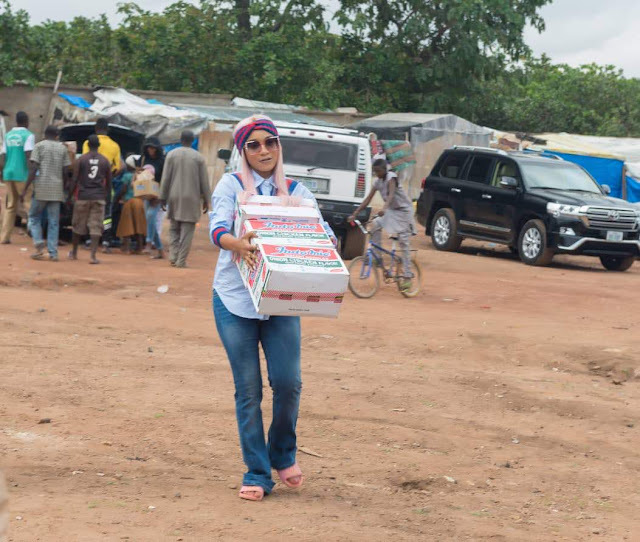 Our Correspondent learnt that the Nollywood actress donated beverages, undisclosed cash donation, twenty bags of rice, among others to the IDPs. 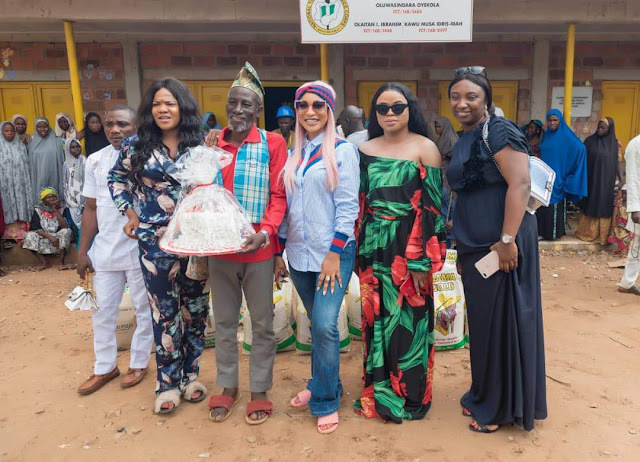 The camp which plays host to over 2,000 displaced persons came alive as it witnessed a large crowd of guests who had come to celebrate with Tonto as well as identify with them. 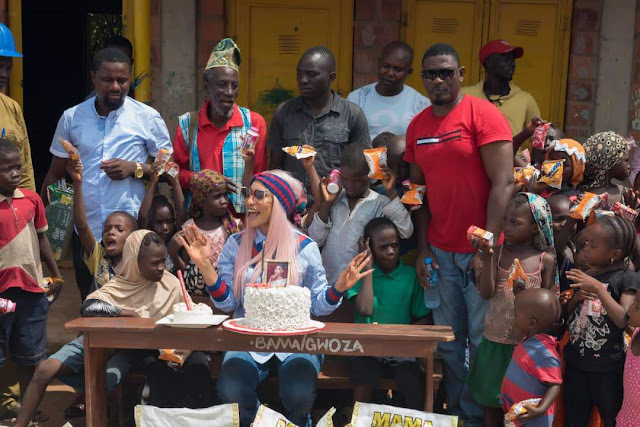 Speaking with Journalists at the Camp, Tonto expressed gratitude to God for marking yet another year, stressing that it feels good to share her joy with the less privileged in the society. According to her "I feel so excited to be here because this is my lifestyle. Being with these people everyday is my lifestyle. Its not a special visit that am here. But then again celebrating my birthday with this family that I have acquired over time is the best feeling in the whole world"
While applauding the efforts of the Government in ensuring that sufferings of the Internally Displaced Persons is reduced, Tonto also used the occasion to call on well meaning individuals to join hands to make life better for the less privileged and displaced persons in the country. 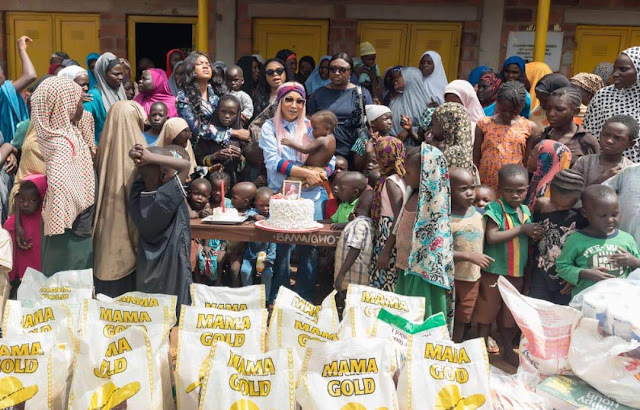 Responding, the Spokesman, Abuja Internally Displaced Person's Camp, Idris Ibrahim Haliru, commended "Tonto Dikeh" for deeming it fit to celebrate her birth anniversary with residents of the IDP Camp, noting that her visit confirms her love and care for humanity. Idris maintained that the Camp has suffered neglect on the part of the FCT administration even as he called on the Federal Government to create enabling environment for residents of the camp to be engaged through empowerment programs as well build structures for learning for children and equally provide volunteers that would help in teaching the children at the Camp. 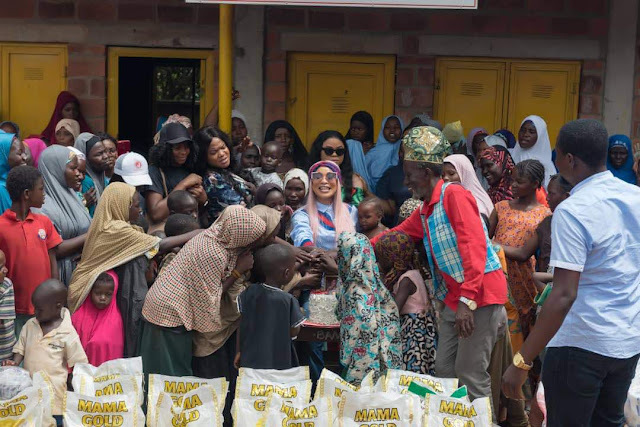 Among those in attendance were, Nollywood actress, Toyin Aiyemaku, Brobisky, among others.